WASHINGTON'S RETREAT THROUGH JERSEY - CAPTURE OF GENERAL LEE. N the 12th of November, General Washington had crossed the North River with part of his army, and taken a position not far from Fort Lee, having left upwards of seven thousand men at North Castle, under the command of General Lee. At that time, the American army was in a critical and alarming state. It was composed chiefly of militia, and of men engaged for a short time only. 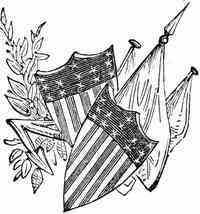 The term of service of many of them was about to expire; and the republican military force was on the point of dissolution, in the presence of a well-disciplined, well-appointed, and victorious enemy. In that threatening posture of public affairs, General Washington applied to the state of Massachusetts for four thousand new militia; and General Lee besought the militia under his command to remain for a few days after their term of service was expired. But the application of the commander-in-chief was not promptly answered; and the earnest entreaties of General Lee were almost utterly disregarded. quarter for reinforcements, and pressing General Lee to hasten his march to the southward and join him. On the advance of Earl Cornwallis, General Washington abandoned Newark, and retreated to Brunswick, a small village on the Raritan. While there, the term of service of a number of his troops expired, and he had the mortification to see them abandon him. From Brunswick the Americans retreated to Trenton. There General Washington received a reinforcement of about two thousand men from Pennsylvania. He had taken the precaution of collecting and guarding all the boats on the Delaware from Philadelphia for seventy miles higher up the river. He sent his sick to Philadelphia, and his heavy artillery and baggage across the Delaware. 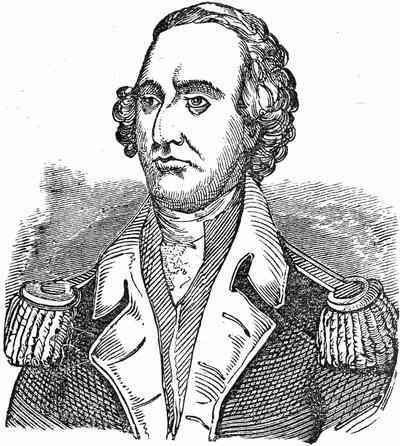 Having taken these precautionary measures, and being somewhat ecncouraged by the reinforcements which he had received, he halted some time at Trenton, and even began to advance towards Princeton; but being informed that Earl Cornwallis, strongly reinforced, was marching against him, he was obliged to seek refuge behind the river Delaware. On the 8th of December he accomplished the passage at Trenton ferry, the van of the British army making its appearance just as his rear-guard ad crossed. General Washington was careful to secure all the boats on the south side of the river, and to guard all those places where it was probable that the British army might attempt to pass; so that his feeble army was secured from the danger of an immediate attack. 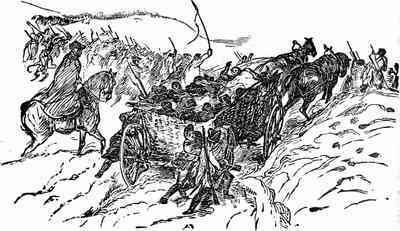 The British troops made demonstrations of an intention to cross the river, and detachments were stationed to oppose them; but the attempt was not seriously made. In this situation the American commander anxiously waited for reinforcements, and sent some parties over the river to observe and annoy the enemy. While General Washington was retreating through the Jerseys, he earnestly desired General Lee, who had been left in command of the division of the army at North Castle, to hasten his march to the Delaware and join the main army. But that officer, notwithstanding the critical nature of the case, and the pressing orders of his commander, was in no haste to obey. Reluctant to give up his separate command, and subject himself to superior authority, he marched slowly to the southward, at the head of about three thousand men; and his sluggish movemants and unwary conduct proved fatal to his own personal liberty, and excited a lively sensation through out America. He lay carelessly, without a guard, and at some distance from his troops, at Baskingridge, in Morris county, where, on the 13th of December, Colonel Harcourt, who, with a small detachment of light horse, had been sent to observe the movements of that division of the American army, by a gallant act of partisan warfare made him prisoner, and conveyed him rapidly to New York. For some time he was closely confined, and considered not as a prisoner of war, but as a deserter from the British army. The capture of General Lee was regarded as a great misfortune by the Americans; for at that time he enjoyed, in a high degree, the esteem and confidence of the friends of Congress; on the other hand, the British exulted in his captivity, as equal to a signal victory, declaring "that they had taken the American palladium."